This provocative study of the Latino political experience offers a nuanced, in-depth, and often surprising perspective on the factors affecting the political engagement of a segment of the population that is now the nation's largest minority. 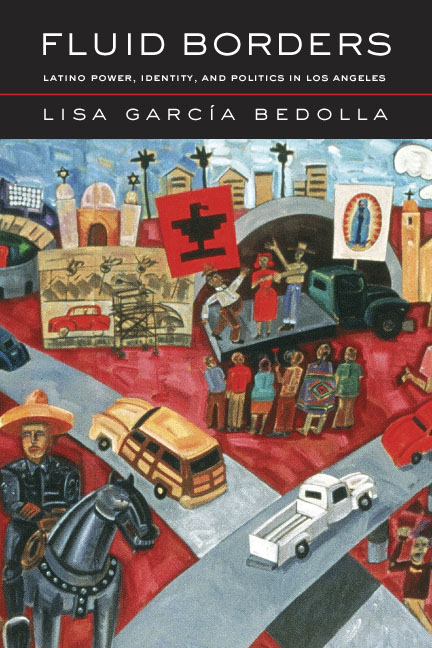 Drawing from one hundred in-depth interviews, Lisa García Bedolla compares the political attitudes and behavior of Latinos in two communities: working-class East Los Angeles and middle-class Montebello. Asking how collective identity and social context have affected political socialization, political attitudes and practices, and levels of political participation among the foreign born and native born, she offers new findings that are often at odds with the conventional wisdom emphasizing the role socioeconomic status plays in political involvement. Fluid Borders includes the voices of many individuals, offers exciting new research on Latina women indicating that they are more likely than men to vote and to participate in political activities, and considers how the experience of social stigma affects the collective identification and political engagement of members of marginal groups. This innovative study points the way toward a better understanding of the Latino political experience, and how it differs from that of other racial groups, by situating it at the intersection of power, collective identity, and place.